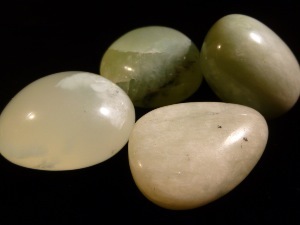 Serpentine is not a Jade but is sometimes referred to as New Jade, as it resembles same colour as that of Jade. It considered an earthing stone that may aid meditation and spiritual exploration. Serpentine is said to help you to feel more in control of your life. New Jade 'Serpantine' tumbled to a smooth finish, an ideal pocket size stone, small enough to carry around with you. Tumble Stones can also be placed around the home for their energies or can just be nice decorative items. 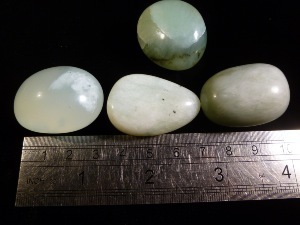 New Jade Serpantine crystal gemstones of varying sizes selected specially for your order.